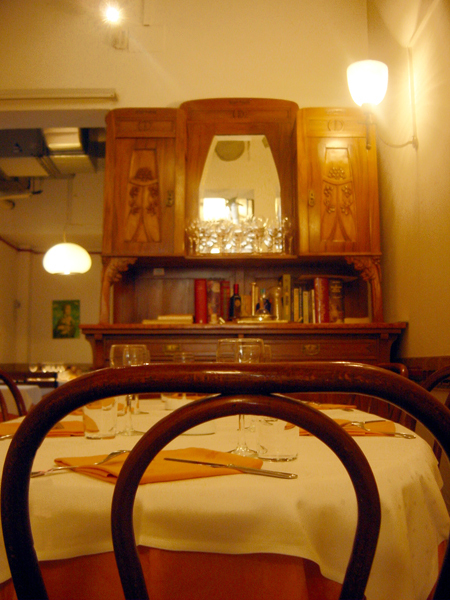 Let me describe Ponte Rosso, an old-fashioned trattoria in Milan’s Navigli neighborhood, a skinny spot with a cluster of tables and a dense, lengthy menu. A hybrid of authentic regional cuisine and simple home cooking, it is absolutely un-precious, and we enjoy every authentic bite. We start with a slab of homemade truffled liver pate surrounded by jiggly gelatin crystals and orange peel. S’marvelous. We graze through stockfish and artichokes with candied lemon, another lovely simple dish that I will never forget. Ooh, let’s indulge in lardo with chestnut – but I am so transported by the liver and stockfish I am edging toward food coma. Continue with a pasta dish of gorgeous tagliatelle with asparagus, courgettes and peas – like eating a velvety spring garden. Try the Neapolitan rice “Sartu” from a recipe by Ippolito Cavalcanti in 1837 – I don’t think you’ll be disappointed. 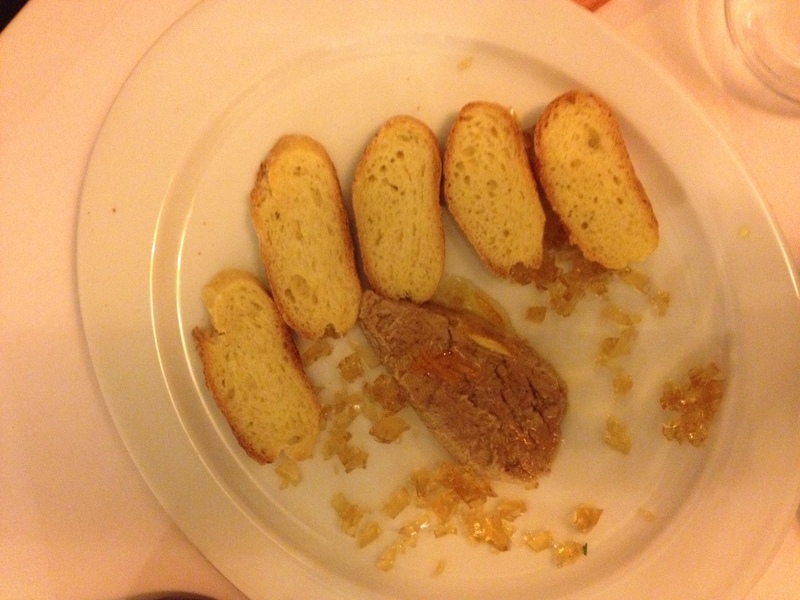 This entry was posted in Food and Wine, Italian Travel, Travel and tagged authentic regional cuisine, food, Grappa, La Cucina della Memoria, liver pate, Milan, Navigli, Ponte Rosso, restaurants, Trattoria Ponte Rosso, travel, vacation. Bookmark the permalink.